1. 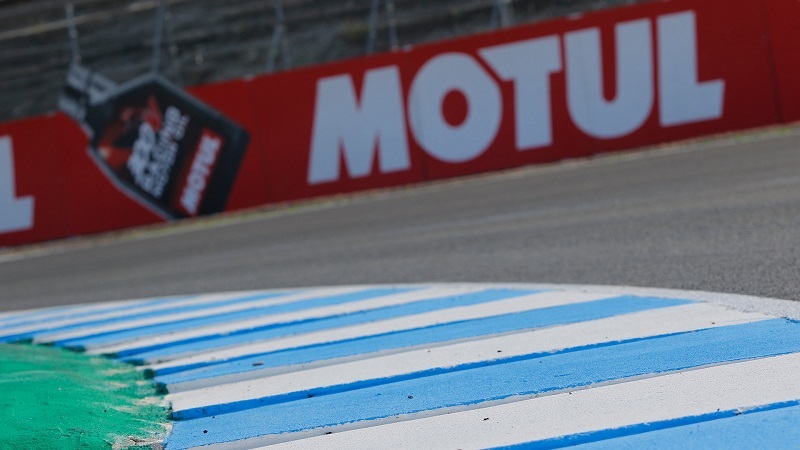 Circuito San Juan Villicum is the 48th track the MOTUL FIM Superbike World Championship have ridden around. The last addition was Buriram, introduced in 2015. 2. Argentina will host a World Superbike race weekend for the first time in history. It’s the 24th country to host the championship. 3. The World Superbike Championship is the first world-class series to race around San Juan. 4. Three Argentinian riders have started at least one World Superbike race in the history of the Championship: Nestor Amoroso (Monza 1993), Leonardo Esteban (Misano 1994) and Leandro Mercado (racing since 2012). 5. Four riders on the grid have won the new races introduced in this decade. Marco Melandri (Aruba.it Racing – Ducati) was the winner of the first ever race held at Aragon, 2011 and in Sepang, 2014. Whilst Tom Sykes (Kawaskai Racing Team WorldSBK) won in Moscow in 2012, Eugene Laverty (Milwaukee Aprilia) won in Istanbul in 2013 and world champion Jonathan Rea (Kawasaki Racing Team WorldSBK) won in the opening race at Buriram in 2015. 6. A win in Race 1 at San Juan for Rea would be an historic one as he would equal the all-time record sequence of wins. The record is nine consecutive wins and was set by Colin Edwards from Laguna Seca/2 to Imola/2 in 2002 and by Neil Hodgson from Valencia/1 to Oschersleben/1 in 2003 (first 9 races of the season). 7. A double by Rea would be equally important, as he would reach 55 wins for Kawasaki, equalling the all time record for a single manufacturer set by Carl Fogarty with Ducati. 8. Jonathan Rea has declared he wants to beat his own season points record set last year at 556. Currently sitting on 470, he needs three wins out of four and and an additional fourth place. 9. If he took two wins from the next four races, Rea could equal his personal best set last year of 16 wins in a season. This puts him just one win away from Doug Polen’s record of wins: 17 which was set in 1991. 10. Rea won’t be able to equal the season record of podiums this year of 25. This was set by Colin Edwards in 2002, and Rea could fall two short. But he can reach his second personal best of 23: he secured 24 podiums in 2017 and 23 in 2015 and 2016 respectively, which are the second and third all time podium finishes. 11. The 2018 world champion qualified in second at Magny-Cours for the third time in a row. With another second position in qualifying this weekend, his career count of seconds could become the double of his pole positions tally: 32 seconds to 16 poles. 12. Michael van der Mark (Pata Yamaha Official WorldSBK Team) approaches the final part of the season in third place on the standings, with four podiums in the last five races run. If he holds on to his third place, he will achieve the best finishing position in the Championship for a Yamaha rider since 2011, when Marco Melandri was the runner-up behind Carlos Checa (Ducati). 13. Tom Sykes (Kawasaki Racing Team WorldSBK) faces the opposite task compared to van der Mark: currently sitting in fourth in the standings, he has to fight to gain a top three spot. Since 2012 – when he finished second to Max Biaggi by just half of a point – he has always finished in the top three. 14. If Rea, Davies and Sykes finished the season as the top three in the championship standings, it would be the fourth successive season these three have take the top three championship spots. 15. Marco Melandri and Eugene Laverty are set for their 150th start in Race 2 at San Juan. So far 28 riders have made it to that milestone in WorldSBK history. For Melandri, Race 2 will also be his 50th for Ducati and for Laverty his 100th for Aprilia. 16. There is an iconic milestone in sight for Ducati: their next podium finish will be their 888th. The Ducati 888 – raced from 1989 to 1995 – is the most successful model in the team’s history with 69 WorldSBK wins, spanning from Jerez 1990/1 (Raymond Roche) to Estoril 1993/2 (Carl Fogarty).